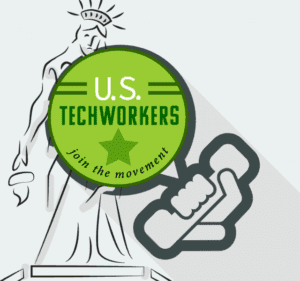 U.S. Tech Workers, the time has never been more critical to act to save your livelihoods. Our Congress needs to hear from you and up to now – they haven’t. So, sign off of your social media account, go online and learn the mailing address of your Congressman and Senator and write them a letter. Pro-employment visa program interests spend huge sums of money lobbying Congress because they do not have the numbers! A handful of letters regardless of where your representative stands on the issue, could be all they need to wave away the corporate and foreign interests. Below is a letter Hilarie Gamm sent a Congressman. It is effective because it is instructive and informs him as to what is going on in his district. Our H-1B database can help you get this kind of information. Further, if you need help in composing your letter, reach out to us at info@ustechworkers.com.